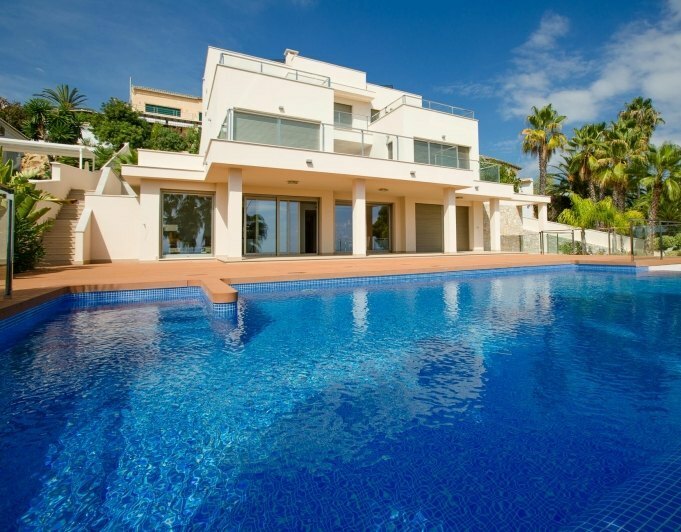 Newly renovated modern luxury villa for sale with 4 bedrooms with sea views and the rock of Ifach in the urbanization San Jaime de Moraira on the Costa Blanca of Alicante of 200 m² built on a plot of 800 m², the property is in a ideal location, close to the beach 700 meters, supermarkets and restaurants 5 minutes walk from the villa. 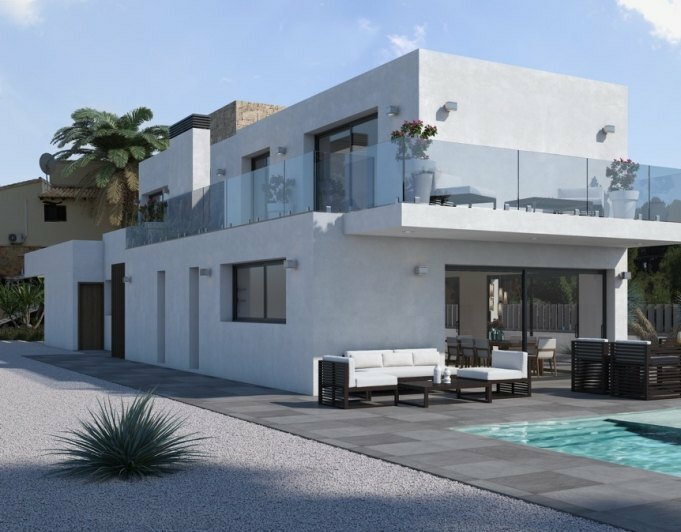 The modern villa is built on two levels plus solarium, on the main floor there are three bedrooms, two bathrooms, living room, fully equipped kitchen from this floor you access a terrace with 11x5 m pool from which you have sea views towards Calpe . On the first floor there is a bedroom with bathroom en suite.The entrance to the plot with electric gate gives access to a large parking space for several cars and a closed garage. In the easily maintained garden there is a closed barbecue area and separate laundry room. The villa is sold including all the furniture.Moraira between Benissa and Javea, is a small fishing village and is located north of the Costa Blanca. Moraira has not forgotten its roots, although has grown in recent years, becoming one of the most popular destinations on the Costa Blanca is not affected by highrise buildings.Moraira is one of the most exclusive and pleasant places to buy your home on the Costa Blanca.It has all the charm of a fishing village, nestled between mountains and vineyards.The crystalline waters of the beaches and coves of Moraira are of fine sand and rock, where swimming is safe and pleasant, you can practice diving, fishing, paddle surfing, sailing, at El Portet beach, De L'Ampolla beach, Les Platgetes, Cala Cap Blanc, Cala Andragó, Cala Portitxol, Cala LLebeig. Moraira lives involved all year round with its sea.